Bayview Eden Melbourne and Bayview on the Park Hotels have engaged with Front Cooking School to provide practical workplace training for their Kitchen students. This opportunity has enhanced the students culinary skills and confidence in a large kitchen environment. It makes us proud hosting the students and seeing their passion for cookery demonstrated. Along with knowing they will be the next up and coming aspiring Chefs in the Hospitality Industry. All students have excelled throughout their placement, where we have had some success stories of recruiting key students into the Hotel kitchen team. I would like to thank Stotts for this award and I would like say a few words about my learning experience and how Front Cooking School helped me from what I started with to where I am today. Apart from giving knowledge from books, the college gave me opportunities for the rest of my life. On behalf of our kitchen management and all of our kitchens, we would like to congratulate yourself and the team at Front cooking school for preparing and delivering two very high-quality students for work placement at the RACV City Club. Both students actively became involved in aspects of food preparation including ala carte and banqueting service, and quickly became valuable team members. I would consider both Marie and Lilly as “job ready” and sure they will be successful in their chosen career. I would also like to make mention of the fantastic training facility and kitchens at Front that I had the pleasure of visiting, these facilities enable your students to learn in a professional environment. Click here for the testimonial letter. To undertake their work based Training component of their course with us and train in real life situations in our hotel kitchens. I find students coming to us from Front Cooking School are well trained, aware of what is required to make the grade in this industry and thrive in a fast paced professional kitchen environment. Their course is up-to-date with current food trends and equipment being used and I am yet to come across a student I wouldn’t hire in the future. 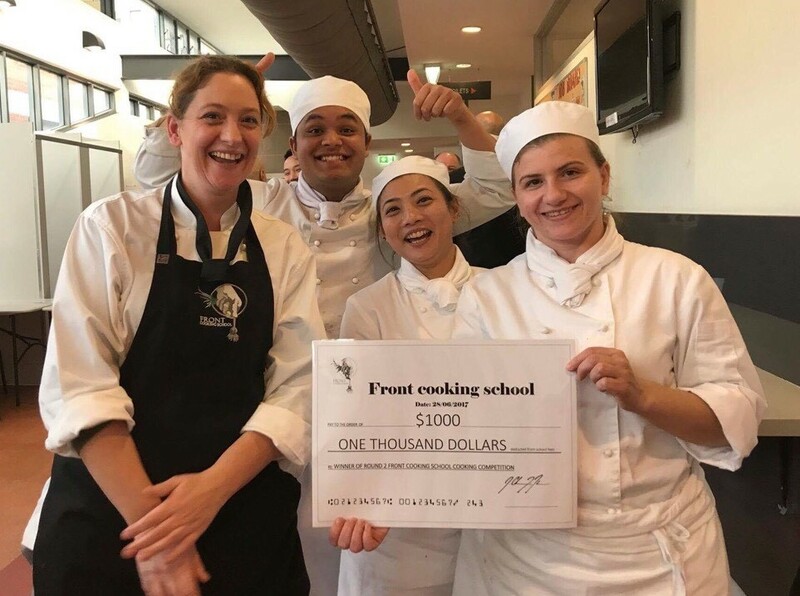 The relationship between Front Cooking School and Hotel Grand Chancellor is a great example of a quality training organisation delivering training that meets our needs and helps Australia stay ahead with the next generation of hospitality professionals ready to take control of our prestigious venues. In December 2017, I competed in the final round of ‘The next top chef 2018’ cooking competition. Leading up to competition, my team and I practiced cooking the dishes several times with the support and guidance of our mentor, Tarin. On the day of the competition, we were all very nervous. The prize was extremely generous so all the teams were ready to be very competitive. With all our passion and love for food, my team cooked like we had never cooked before, determined to be crowned the winners of The Next Top Chef 2018. We worked so hard to present the best of our cooking skills and knowledge and it all paid off. We won the cooking competition! I was so proud of the work we had displayed for the staff Front Cooking School to see. That moment was one of the best achievements in my life! Thank you Front Cooking School for allowing me to be part of the first ever Cooking competition! What an unforgettable day! I have been studying and making new friends here in Front Cooking School for more than a year now. Having the chance to do the Work-based Training through the school was a great “eye-opening” moment of working in the hospitality industry, letting me discover more of my capabilities – things I didn’t know I could do in the first place. I guess it’s also fair to say that cooking is not always just about how to cook, but also understanding how to work as a team with the rest of the kitchen staff. It’s also about communicating with the Front of House. All in all, my studies at Front Cooking School have shaped me into the person I am today. Having learned from the best chefs and trainers, I am forever grateful. Thank you to everyone from Front Cooking School. Hospitality is the backbone of tourism in Australia, and at Front Cooking School we live by the motto that skills and knowledge is the start of having a distinguished career. 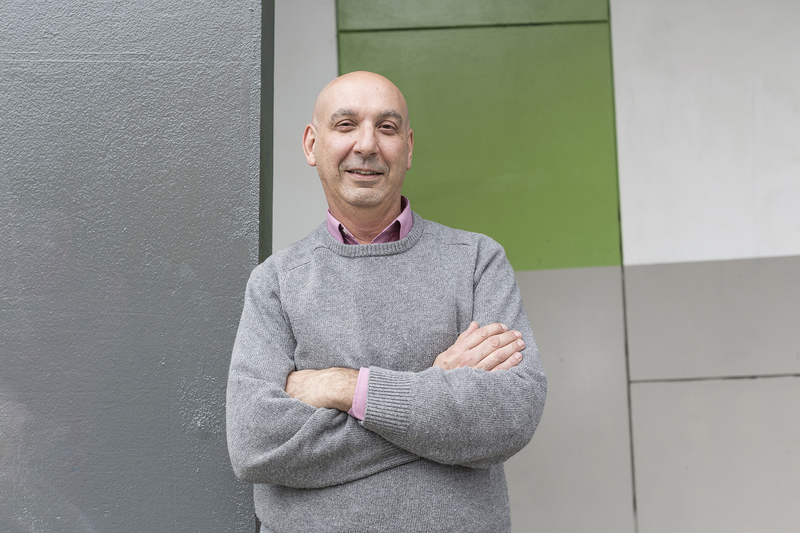 With trainers from the industry and state-of-art training kitchens, we give you every opportunity to achieve your goal, and our student support staff can also help you by placing you in some of Melbourne’s best restaurants and hotels to start your career. Working in the hospitality industry will help you to become a part of the community. As Head of Hospitality, I am always here to answer your questions and keep you heading in the right direction, “hospitality is a choice in the right direction”. A career in hospitality offers you opportunities that are challenging, fun, exciting and creative. You may want to be a great chef, a small business owner or a manager in a large Hospitality organisation. Front Cooking school offers you a quality training experience that will set you up for your entire career. Choosing a career in hospitality opens many doors at home or internationally for employment and Front Cooking School has the best industry trainers ready to share their knowledge and skill so that you can fulfill your dreams.